WLC Engineering, Surveying & Planning was hired by the Town of Evansville to provide grants writing, design and construction contract administration services for an upgrade to the Scott Hill Booster Station. 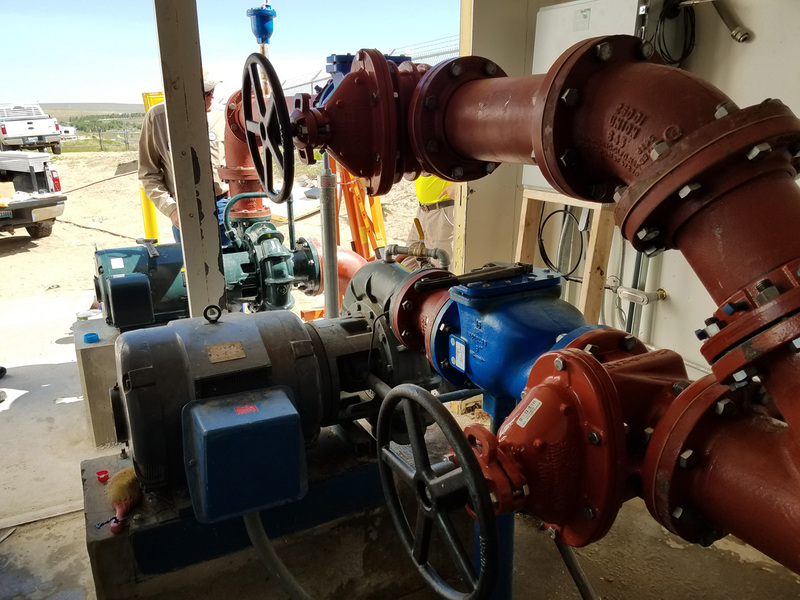 The project consisted of improving the existing booster station to include a redundant pump. Originally, the station is equipped with just one pump and no backup. 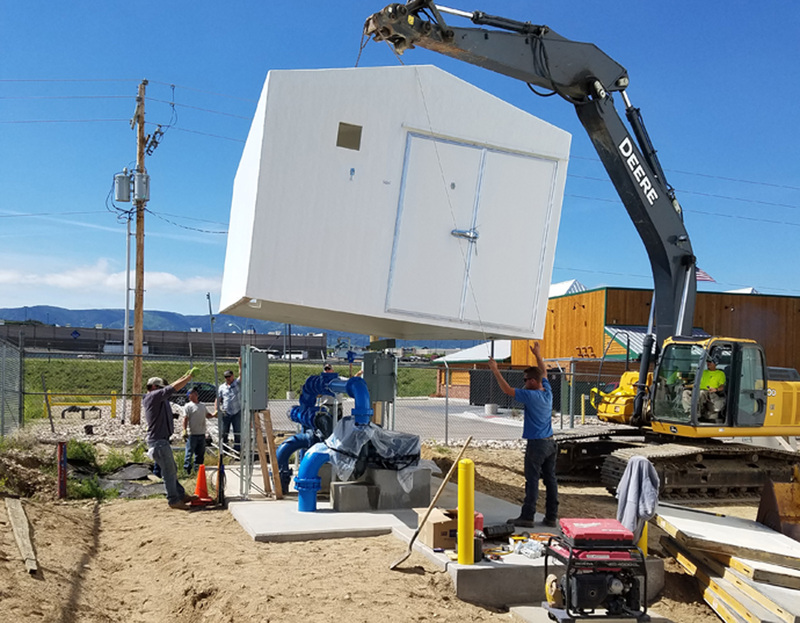 Specifically, this project included the removal and disposal of the existing 10’ X 10’ steel building; construction of a 15’ X 15’ concrete block building; replacement of piping and valves; installation of a new flow meter; a new pump control panel; upgrading the existing control panel; upgrading the existing telemetry system; and the installation of a new backup pump. 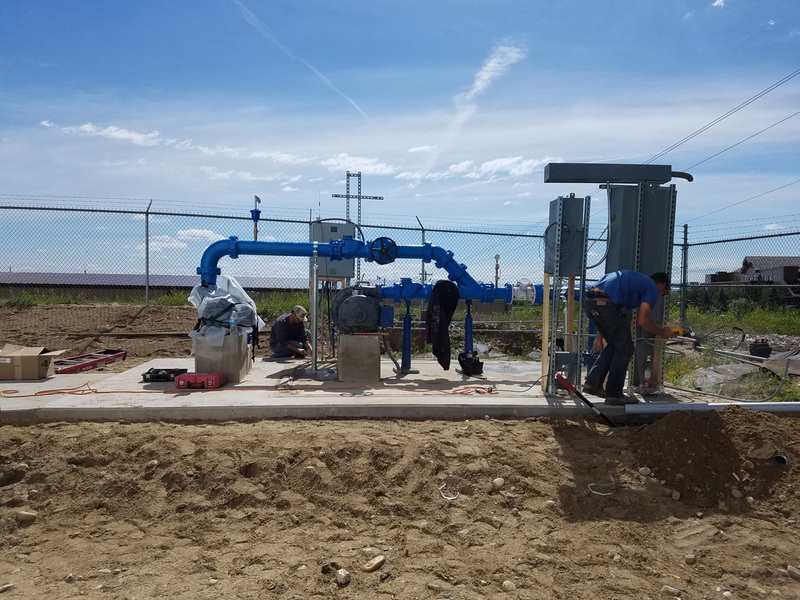 The new booster pump station is located at the existing site on land owned by the Town of Evansville. The need for this project was identified as a high priority in the 2009 Water System Master Plan funded and approved by the Wyoming Water Development Commission. However, the funding for this project was provided by the Wyoming Business Council.